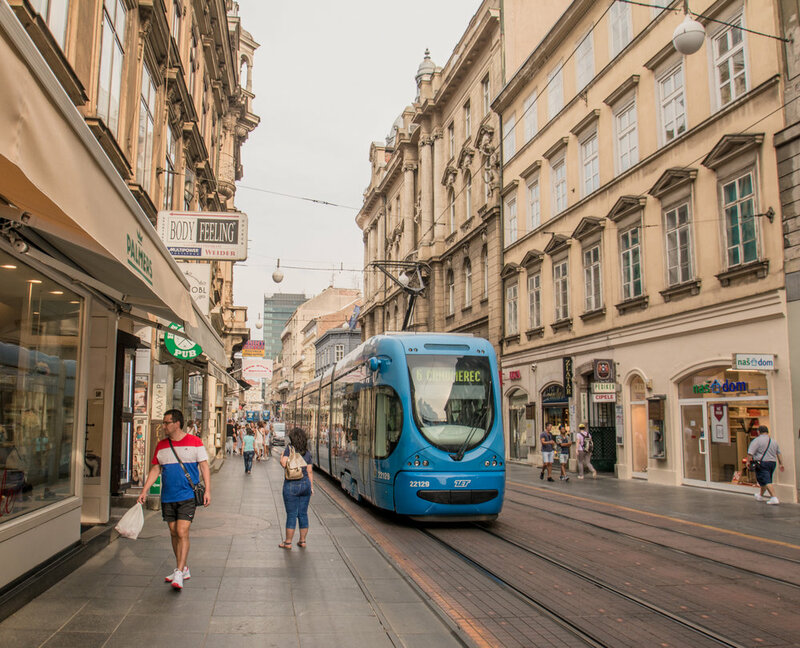 The physical makeup of streets such as this one in Zagreb, Croatia—where over half of residents commute via public transit—suggests the more multi-modal and connected transportation model in place. Not many smaller American cities readily provide the promises of their larger counterparts. A wide net of high-paying jobs, exciting and culturally-enriching social experiences, large urban parks, well-loved public spaces, and most notably, varied transportation options, are many of the reasons countless new graduates flock to the United States’ megalopoli of New York City, Boston, Washington D.C., and San Francisco. Like CityLab recently discussed, big-city die-hards may be mistaken in their calculations of the pay-off. The article summarizes research done by Indeed Hiring Lab’s chief economist, Jed Kolko, which claims that considering cost of living and other factors, sometimes a salary goes further in one of the nation’s smaller cities, like Duluth, MI or Birmingham, AL. But the problem many of these smaller cities don’t solve, save for a few exceptions like Davis, CA, is transportation. That’s why cities like Poznan, Poland and Zagreb, Croatia—by American standards—are remarkable. Not only does the western Polish city of over 500,000 people offer a world-renown old town with cobblestone streets and colorful buildings; riverine parks with hammocks and play spaces; sidewalk art installations; and some of the world’s best ice cream; Poznan also offers people a chance to get around without a car. Street cars, bike lanes, and a pedestrian-prioritized city center stress the level playing field of mobility options in this Polish city. 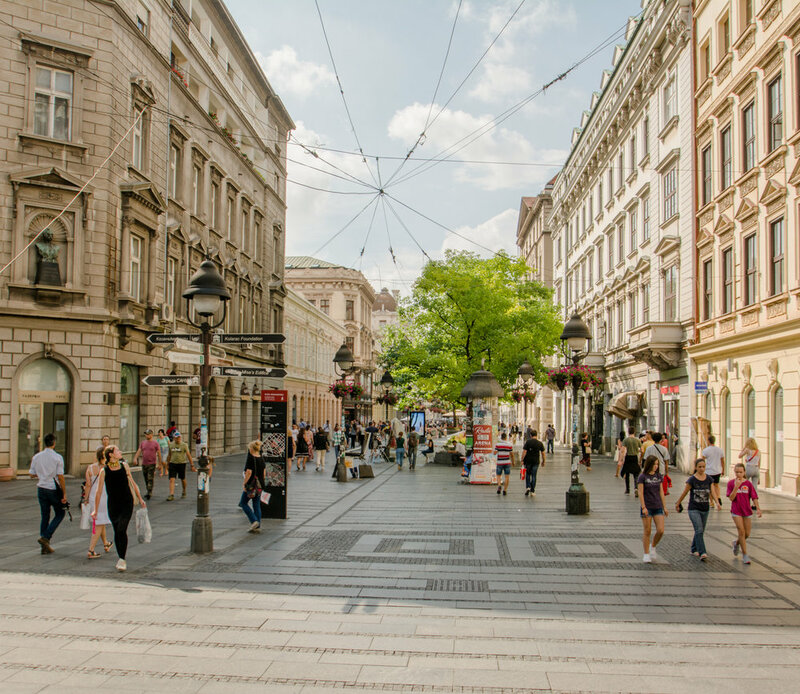 Similar statements exist in Croatia’s capital, Zagreb, where light rail, buses, bike lanes, and wide, tree-lined sidewalks create comfortable mobility options for its 800,000 inhabitants. In fact, the European Union’s statistic office, Eurostar, estimates 51% of people in Zagreb get to work using public transit; the European Cyclists’ Federation estimates that bikes, on the other hand, count for 10.1% of Zagreb’s mode share. Compared to Duluth, MN and Birmingham, AL, which the 2016 American Community Survey estimates only 4.4% and 2.2%, respectively, of commuters ride public transit to work (while 74.1% and 81.3%, respectively, drive alone to work), most of American cities miss a crucial piece that make urban areas quintessentially cities: varied transportation. Ljubljana, Slovenia, 2016 Green Capital of Europe. On a busy morning in Preseren Square, scores of bicycle commuters rush through the pedestrianized city center to their destinations. But even a more fair comparison of two similarly-sized European and American cities yet again reveals a wide gap. For Birmingham, AL, the state’s most populous city at over 212,000 residents, and Ljubljana, Slovenia, the country’s capital with around 286,000 residents, the similarities stop at population size. In 2016, Ljubljana was named the European Green Capital for its impressive efforts since 2007 to transform into a sustainable city. Efforts include converting the city center into a pedestrian and cyclist zone, improving public transportation, and committing to a zero-waste and progressive waste management techniques. As a result of the city’s mobility initiatives, 37% of residents use transit to get to work, and around 12% of all trips are done on bicycles, making Ljubljana the fourth most bike-dominated capital city in Europe, and the eighth most bike-friendly city in the world. Conversely, less that 1.3% of commuters in Birmingham, AL, use a bike to get to work. Transportation in cities is a big deal. For some (myself included, since I went car-free at the start of this journey), it’s the determining factor in choosing where to live. And it should be; the American Automobile Association, Inc. (AAA) determined it costs car owners, on average, over $8,500 to own and operate a vehicle in 2016. That’s a hefty price for a machine that spends over 95% of its time parked. A tour of cities in Central and Eastern Europe demonstrates time and again the quality of life—moreover, the quality of city—available to residents often surpasses that of American cities. 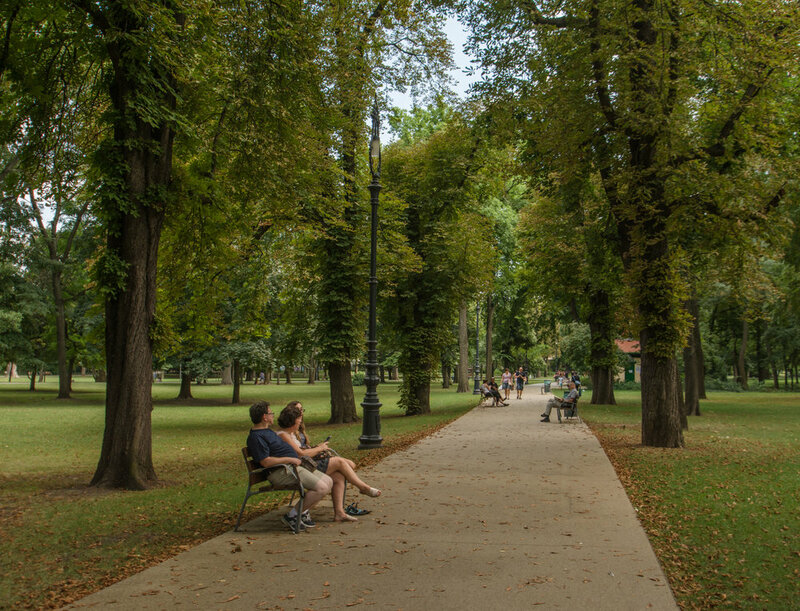 In cities like Poznan, Poland; Budapest, Hungary; Belgrade, Serbia; Zagreb, Croatia; and Ljubljana, Slovenia; a short walk from one’s home likely passes countless cafes, eateries, markets, shops, bus stops, bike lanes, pocket parks, architectural masterpieces, art galleries, religious centers, and fellow pedestrians. I want a city with ample quality of life, a term I define as having abundant and beautiful public space; convenient and affordable transportation options; and a wide selection of social and culinary experiences. On the ground, that looks like cities where bikes have child seats over the rear wheel; where people spend weekend afternoons sipping coffees under shaded tables on marble streets; and where streets are safe enough for pedestrians to look up and enjoy the sights, and not the onslaught of strip malls, corporate signs, electrical wires, and cars. Using that calculus, I’ll be moving to one of the American megalopoli before I consider moving to Duluth, MN or Birmingham, AL. But most importantly, by that same measure I’ll be moving to a European bike haven like Ljubljana before I move to an American megalopolis. Belgrade, Serbia; Budapest, Hungary; Poznan, Poland; Zagreb, Croatia. Commuting statistics for cities in the U.S. come from the 2012-2016 American Community Survey 5-Year Estimates, available online through American FactFinder, a product of the United States’ Census Bureau.